Splash around in the water, and enjoy the apples! 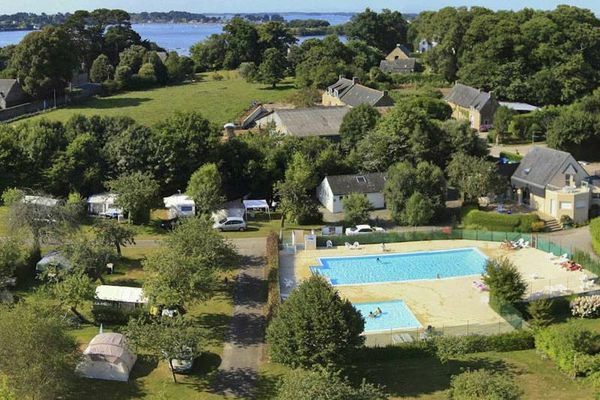 The Camping de l'Allée is a peaceful campsite located in the heart of a family-style resort not far from Vannes and Auray. The Camping de l’Allée is located on a 3 hectare apple orchard. The 148 plots here include mobile homes for rent and pitches for tents and caravans. There’s a heated pool and a children’s paddling pool on site as well as a bakery, a grocery store and a laundry. Children and adults will have plenty to keep them busy on site! Choose between splashing around in the pool, table tennis games, billiards and pétanque (boules). And there are no evening entertainments to keep you awake all night! Close to the site, there are plenty of opportunities to make the most of the sea and go sailing, relax on the beach, bathe in the sea, go shellfish-gathering or try your hand at sea-fishing. A great way to enjoy the nature around you is to go on an excursion, or walk along the coastal paths.